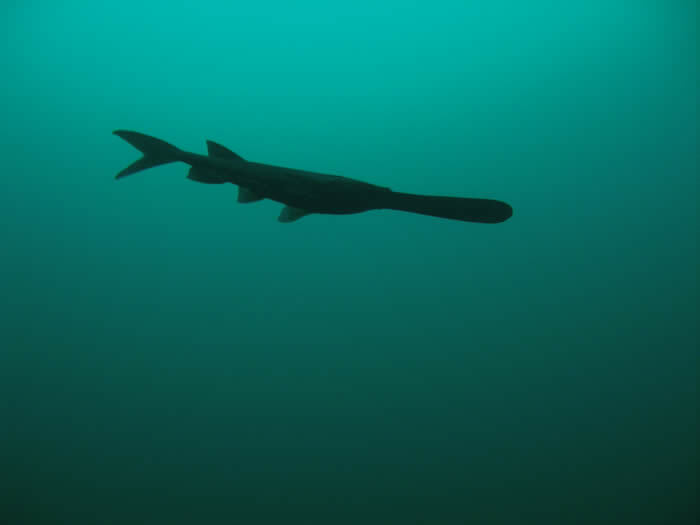 We now have these in our diving quarry …..
Paddlefish. …10 of them. I can’t wait to get back in the water and look for them. That looks a little prehistoric! Are they safe? They look like fun! Did you introduce them or did they show up on their own?